Saving For Your Future » Investing » Exo Investing review – is its innovative AI approach the best way to invest? Exo Investing review – is its innovative AI approach the best way to invest? Historically UK consumers had to use the services of a financial adviser if they wanted to invest their money, which was unnecessarily expensive. However, following the advent of fund supermarkets (platforms) in the early 2000s, such as Hargreaves Lansdown and Fidelity consumers were able to finally invest their own money. The range of investments and funds was not only vast but the economies of scale these fund platforms offered meant that they could provide consumers with access to DIY investing cost-effectively. Those comfortable with managing their own investment portfolios were also able to boost their investment returns by cutting out the middle-man (investment advisers) and their fees. Fast forward to 2018 and the arrival of so-called robo-advice firms means that consumers can now get investment professionals to manage their money as cheaply and as cost-effectively as if they were running it themselves. Robo-advice firms such as Nutmeg led the way initially and remain the market leader, with over £1billion of assets under management, but numerous other robo-advice services have launched and are capturing market share. Some of the other more well-known firms include Moneyfarm, Wealthsimple and Wealthify. However, Exo Investing is arguably one of the most exciting new entrants into the market. In order to produce this Exo Investing review I not only registered for the product but also visited their offices to take an independent look at how Exo Investing manages money and why its investment process differs from the numerous other robo-advice offerings out there. I also explain how you can invest with Exo Investing fee free for a year. You can jump to key points in this review by clicking on the relevant link below, however, for context I suggest that you read the review from beginning to end. How does Exo Investing work and how is it different? How does Exo Investing build and manage its portfolios? What products does it offer? How do its fees compare to other robo-advisors? Who should consider Exo Investing? 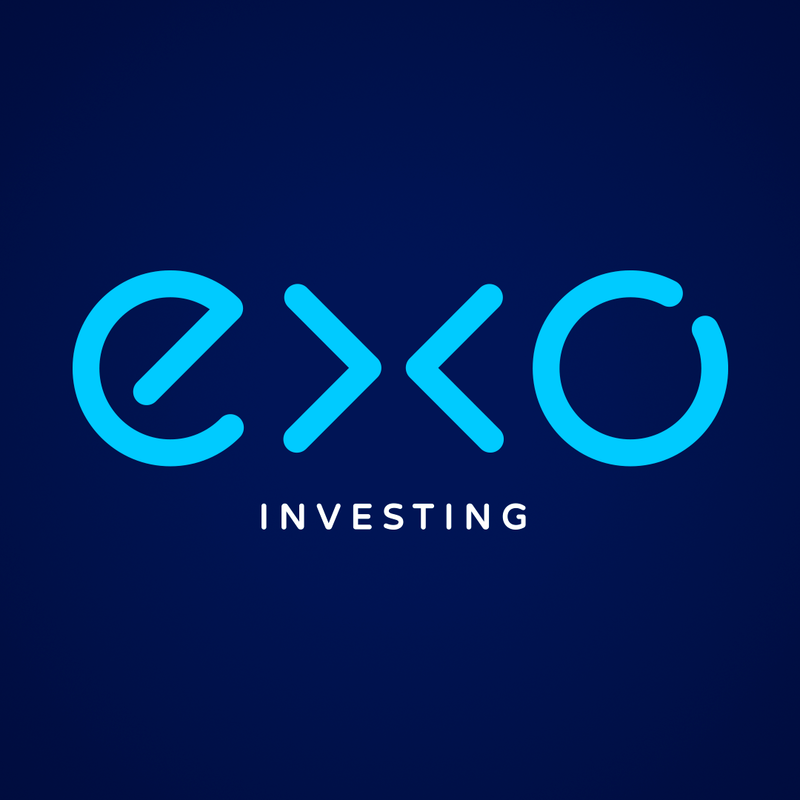 Exo Investing launched in the UK in April 2018. It is backed by the renowned Rothschild banking family and quantitative investment manager ETS which works with institutional investors and the wealthy clients of private banks. It is actually ETS which I find the more interesting of the two partners as it is one of Europe’s leading quantitative asset managers yet most consumers will never have heard of it. ETS is a Madrid-based firm that has been building risk managed portfolios for ultra-high net worth clients and institutions for more than three decades. Or to put it another way, billions of pounds worth of money has been managed by the computer algorithms that ETS runs. Often the most well-known digital wealth managers (robo-advisers) are born out of a desire to simply disrupt the finance industry status quo of high fees and lack of transparency. However, there is a sense that the actual investment process is usually an afterthought with investment managers from well-known investment banks parachuted in to begin managing customer money. The focus seems to be more on cutting costs and acquiring assets rather than producing the best returns for customers in the current investment climate. With Exo Investing the story is different. The idea of the robo-adviser was born out of ETS's already established investment process which was being used by investment banks to invest client money across Europe. It made sense for them to take this successful investing approach and create a direct-to-consumer offering. That's how the partnership between ETS and Rothchild came about and is how Exo Investing was launched. Unsurprisingly, Exo Investing Chief executive Lennart Asshoff previously worked as a product manager at ETS, while Exo’s advisory team includes executives from Rothchild brands. How does Exo Investing work and why is it different? Exo Investing does a fantastic job of using simple graphics to help customers understand risk vs return, especially during a stressed market period such as the financial crisis in 2008. I'd argue that it does it better than most of its competitors which enables customers to complete the questionnaire with more conviction. After telling Exo Investing the type of account you want - choosing from a Stocks and Shares ISA or general investment account (a pension is due later this year or early 2019) - you are then asked to choose up to 12 different assets, sectors and regions you would like to invest in (the picture below shows some of the options). Exo Investing's algorithm then chooses the optimum funds for you in order to build a portfolio. Alternatively, you can choose to just let Exo Investing choose both the asset classes and the funds for you. This is a big selling point of Exo Investing against other robo-advisers, as it gives you far more control over how your money is invested. It also means that you can have a bespoke portfolio. If you are happy with the portfolio you can then invest money into it. Once your portfolio has been funded you can monitor its performance and make changes at any time online or through the Exo app. The portfolio is analysed and managed daily using risk management technology and dynamic asset allocation depending on market conditions, which I explain in more detail in the next section. The approach of most robo-advisers is to have a handful of ready-made portfolios with allocations to different assets, regions and sectors assessed by a committee on a periodic basis, usually monthly. The process could be described as 'light touch' as the asset allocations of these robo-advisers' portfolios seldom change. Exo has less of a human touch, well pretty much none, but employs a more exhaustive approach using algorithms to dynamically manage the portfolios on a daily basis. Exo Investing has built several algorithms that analyse the market each trading day to determine whether your portfolio’s asset allocation should be rebalanced to meet your objectives. There are various algorithms operating behind the scenes but they include rotation analysis, which looks at market direction and makes changes based on trading costs and various risk scenarios. 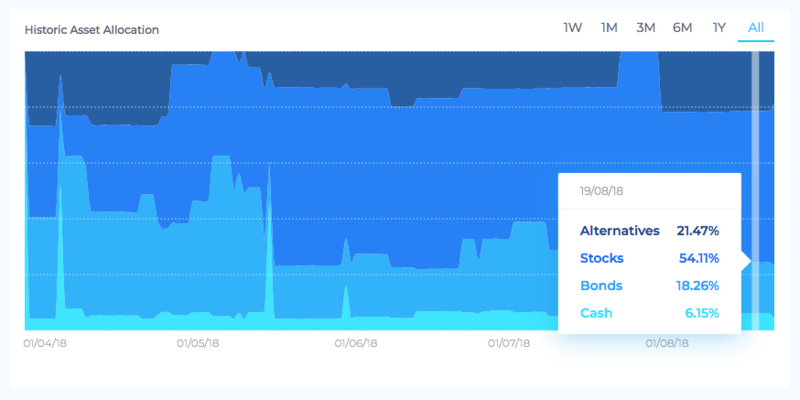 Exo Investing also analyses data on each ETF listed on the London Stock Exchange every day to take account of price, the index, tracking error, size, volatility and the return. The algorithm ensures portfolios are diversified by looking at how each one will perform against historic market movements and synthetically created scenarios. It considers possible portfolio weightings to ensure your investments are working efficiently. If the markets take a negative turn, the platform will automatically analyse whether to shift a proportion of a portfolio from high-risk assets to less volatile assets, and when the markets are on the up it will adjust the distribution to favour higher risk assets, increasing your chance of gaining positive returns. Each portfolio is assessed based on when it entered the market, how much is invested, the risk profile, investment horizon and user preferences. Each portfolio will then automatically be rebalanced if deemed necessary without any trading fees. This point is crucial. Exo Investing has been able to establish a platform whereby they can trade for free. It allows them to make changes to your portfolio dynamically and daily without costs eroding the benefit, or indeed pushing up the charges its customer pay. This is an enormous advantage that Exo Investing has over every other robo-adviser or online wealth manager as it allows it to alter your portfolio without costs hampering performance. I was able to gain access to historical data of a portfolio that was run by Exo Investing's algorithm during its beta phase that shows how asset allocations can change. The two charts below show how the asset allocation changed during the last six months. The charts represent the same period but one has a pullout box showing the asset mix at the start while the other has a pullout box showing the asset mix at the end. You can see from the screenshot that the asset mix has moved away from bonds and into alternative strategies, which is a reflection of the how poorly bonds have performed since the spring of 2018 as yields rose. Exo’s portfolios have a fully quantitative approach, so there is no human interference, which means that 'the humans' who work there can’t always explain the changes. This contrasts with other robo-advisers which have committees that regularly justify movements and alterations. This is a slight negative from a user's perspective because if Exo Investing was able to communicate why moves had occurred and provide much needed context investors would feel reassured. For example, you can see that in early August there was a spike in the bond allocation in the portfolio. This was actually in the form of Index-linked gilts and was most likely in anticipation of an interest rate rise by the Bank of England at its August meeting. Being able to give context would enhance Exo Investing's credibility and provide confidence in its quant-driven investment approach. One feature of Exo Investing I really like is the ability to control your portfolio once it is up and running. If you decide you want to up your US exposure and reduce your emerging market exposure you can. You simply log in and tweak the portfolio and the Exo Investing algorithm will rebalance your portfolio that day without any trading costs. There are constraints based upon your risk profile so a low-risk profile couldn't go 100% into emerging markets equities, for example, without changing their profile beforehand. Again this sets it apart from the other robo-advice firms out there. It means that the service is likely to appeal to those who would like to have an influence on how their portfolio is invested from a macro perspective but don't want to pick the individual funds themselves. Is Exo Investing a Robo-advisor? Exo Investing sits between being a discretionary wealth manager and a robo-adviser. Most robo-advisers operate a range of risk-rated model portfolios of ETFs, with a committee overseeing any changes but there is little active management. Similarly, Exo Investing provides portfolios, but rather than having a set range, each one is tailored to an individual’s risk profile, with strategy and asset allocation monitored daily using risk management algorithms and 'artificial intelligence' rather than an investment committee. However, you still have the ability to tweak this allocation to provide a bespoke portfolio. So technically, an Exo Investing portfolio is actively managed, but by sophisticated technology rather than humans. Reliance on passive investments like ETFs makes Exo Investing more of a robo-adviser than traditional discretionary fund platforms. Does Exo Investing actually use artificial intelligence? I've seen claims that Exo Investing uses artificial intelligence (AI) to run money but whether it does comes down to your accepted definition. There's no doubt that Exo Investing's algorithm and quant-drive approach takes into account current market conditions and therefore gets smarter. So there is an element of algorithmic (or machine) learning. However, I've yet to see a true application of AI used in the world of finance where a machine can take what it has learnt (from historical data) and apply it to new never-before-seen scenarios. What products do they offer? 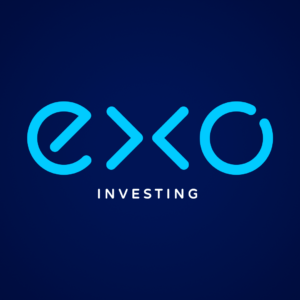 Exo Investing offers a general investment account – letting you build a passive portfolio that is regularly rebalanced according to your risk profile - or a stocks and shares ISA account – giving you tax-free returns within an investment ISA tax wrapper. There are also plans to offer a self-invested personal pension (SIPP) but this is yet to be launched. The minimum investment for each of its products is usually £10,000. 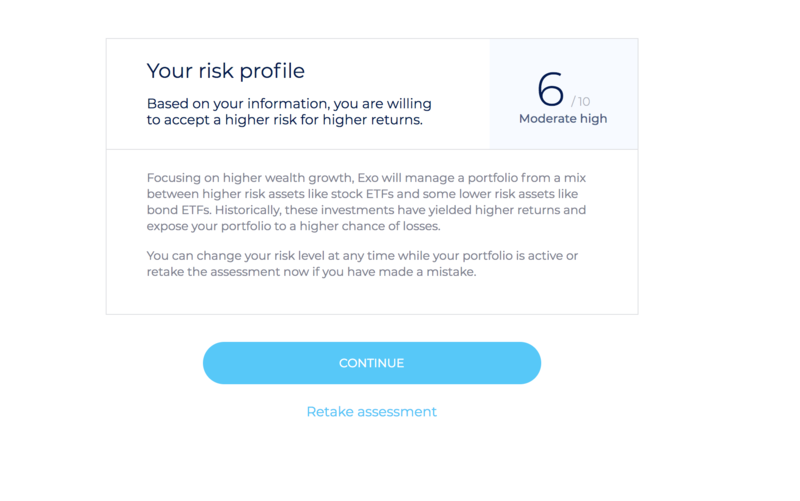 This may seem like a lot, and is higher than many of its rivals, but Exo Investing says its portfolio and risk management algorithms can only execute an individual investment strategy with a certain minimum level of available funds. However, it is possible to invest as little as £5,000 fee free for a year with the offer highlighted in the next section. How do their fees compare to other robo-advisers? Exo Investing has a relatively simple fee structure. Investors pay 0.75% on amounts between £10,000 and £100,000 and 0.5% above £100,000. There is a 0.25% charge to cover ETF fees. Investors are charged on a monthly basis and there is no charge for setup, transactions or trading. In comparison, Nutmeg – which has a minimum investment of £500 to its ISA and general investment pots or £100 for its Lifetime ISA - charges 0.75% up to £100,000 and 0.35% beyond that. Nutmeg’s portfolios have a fund fee which averages 0.21%. 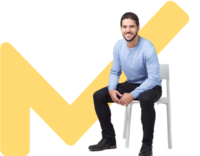 You can start investing with just £1 at evestor, where fees depend on the portfolio, charging 0.52% for the least risky level 1 product, 0.51% for level 2 and 0.50% for level 3. Moneyfarm investors have to start with £500, with charges of 0.7% on the first £20,000, then 0.6% on any amount from £20,000 to £100,000, 0.5% on anything from £100,000 to £500,000 and then 0.4% on funds above that. There is also an average fund fee of 0.3%. However, as stated earlier it is possible to invest fee free for a year with Exo Investing with this offer. You only have to pay the underlying ETF charges of 0.25%. Exo Investing was only launched in April 2018 so there is no published historical performance data. This makes it hard to know the type of return you could get and to compare with other providers. However this lack of long-term performance data is much the same problem faced by most other robo-advice firms. Only Nutmeg and Moneyfarm can provide data covering the last few years. However potential customers will take some comfort in the fact that Exo Investing's investment process has already been used by institutional investors for decades. Exo is a trading name of Finhub Technologies, which is fully regulated by the Financial Conduct Authority. Client money and securities are held by its custodian bank, Winterflood Business Services. As an authorised firm, Winterflood is a member of the Financial Services Compensation Scheme so in case of insolvency on the part of Exo Investing or Winterflood, your investments would be covered up to £50,000. Exo Investing gives users access to investment strategies, usually reserved for ultra-high net worth clients, at lower costs than through a human adviser. Exo Investing is the first firm to provide what the public understand robo-advice to be and that is a service where machine algorithms manage your money, taking into account countless data points. However, Exo Investing also allows you to tailor your portfolio by choosing the assets, regions and sectors you wish to invest in. It means that it is the only online digital wealth manager that I have seen where every client can in theory have a different portfolio. The lack of a performance track record may be a drawback, but the sophisticated artificial intelligence technology has already been used for decades with private clients of Exo Investing's backers, so many will see it as a cost-effective way to get a high-net-worth investment experience cost-effectively. The standard minimum investment of £10,000 may seem high but that is relatively cheap compared to traditional discretionary fund managers. However, this Exo Investing offer allows you to invest fee free for a year (with only the 0.25% fund charges to pay) with an initial investment of only £5,000. Overall, I think the Exo Investing proposition is very exciting, and time will tell whether its investment performance will live up to its billing. However, there is nothing to stop you from registering to get a free bespoke portfolio built for you with no obligation to invest. While most online digital wealth manager (robo-advice) propositions are converging, so there is little to differentiate between them in terms of fees, product or indeed performance, Exo Investing has enough unique selling points for it be used as a viable alternative to popular services such as Nutmeg and Moneyfarm. Wealthify Review – is it the right investment choice for you? 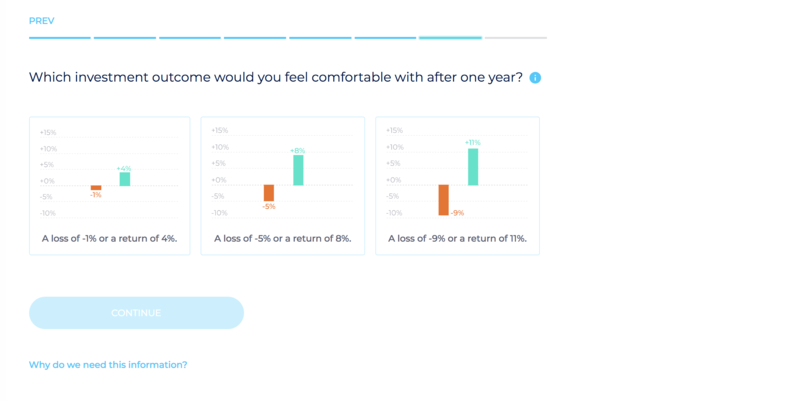 Wealthsimple review – Is it the best choice for investors in the UK?